The Salmon Creek watershed drains about 35 square miles of western Sonoma County and includes the town of Freestone. In the early 1800s, Russian immigrants grew grain in the Freestone area to supply their settlement at Fort Ross. American settlement later led to logging of the redwood forest, the North Coast Pacific Railroad line, and additional agriculture. 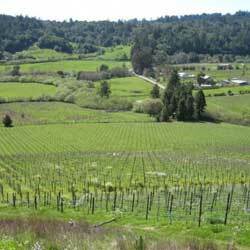 Today, the primary land uses in the watershed are for rural residences, rangeland, and some commercial vineyards. The town of Freestone retains a 19th century charm and is a historic district. Freestone, one of the only towns in the Salmon Creek watershed, retains it 19th century character. 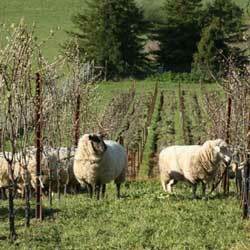 In the Salmon Creek drainage, on 100 acres of rolling hills once planted in apple orchards, this 50-acre vineyard incorporates biodynamic farming principals like composting, recycling nutrients, carefully managed irrigation, the use of cover crops, owl boxes to encourage raptors that control rodents, and non-toxic biological field and foliar sprays. With a goal of reducing irrigation needs, they have begun dry farming a portion of the vineyard and hope to dry farm the rest of the vineyard when the vines mature.